Ms. Sweeney is a senior advisor at the National Partnership for Women & Families. Previously, she was vice president where she led the organization’s Patient and Family Engagement portfolio. In her role, Ms. Sweeney worked with a multitude of stakeholders to develop and implement strategies for improving the quality, safety, efficiency and patient- and family-centeredness of the healthcare delivery system. Ms. Sweeney possesses a deep knowledge of delivery system models and quality improvement strategies. She has worked with hospitals, ambulatory practices and health systems around the country to partner effectively with patients and families, including helping them form Patient and Family Advisory Councils and engage patients in healthcare transformation efforts. Ms. Sweeney is a frequent speaker on healthcare delivery reform and patient and family engagement. She is also the co-author of “Patient And Family Engagement: A Framework For Understanding The Elements And Developing Interventions And Policies” published by Health Affairs in 2013 and the co-author of “Promoting Patient and Family Partnerships in Ambulatory Care Improvement: A Narrative Review and Focus Group Findings” published in Advances in Therapy in 2016. 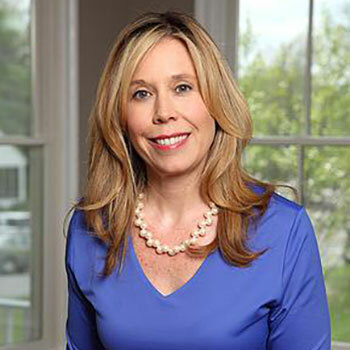 Ms. Sweeney has held the numerous positions on healthcare boards and bodies including: The Joint Commission’s Patient and Family Advisory Council, The Virginia Hospital Center’s Patient and Family Advisory Council and the American College of Physician’s Advisory Board for Patient Partnership in Healthcare. Ms. Sweeney received a B.A. from Union College and an M.A. from the George Washington University. She is also a trained Crucial Conversations facilitator and credentialed leadership coach.